There are currently 52 hedge funds and private equity companies in Chicago and Illinois that are hiring new employees. For a complete list of more than 235 hedge funds and private equity companies in Florida, along with current hiring status, please see our IL Hedge Fund / PE List. The above are just a few of the more than 50 hedge funds and private equity firms currently hiring in Chicago. If you are looking for a hedge fund job in Chicago, our IL Hedge / PE Fund List is truly an invaluable resource. In addition to hiring status for each of more than 235 funds, you get detailed information on each fund including address. phone/fax, corporate and HR emails, top executives, AUM, # of employees and more all in Excel format. And it’s the only list designed specifically for hedge fund and private equity job seekers! There are currently 51 hedge funds and private equity companies in CT that are currently hiring new employees. These include hedge fund jobs in Greenwich, Stamford, Norwalk, and more. 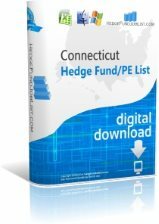 For a complete list of more than 260 hedge funds and private equity companies in Connecticut, along with current hiring status, please see our CT Hedge Fund / PE List. The above are just a few of the more than 50 hedge funds and private equity firms currently hiring in Connecticut. If you are looking for a hedge fund job in CT, our CT Hedge / PE Fund List is truly an invaluable resource. In addition to hiring status for each of more than 260 funds, you get detailed information on each fund including address. phone/fax, corporate and HR emails, top executives, AUM, # of employees and more all in Excel format. And it’s the only list designed specifically for hedge fund and private equity job seekers! There are currently 100 hedge funds and private equity companies in California that are currently hiring new employees. These include hedge fund jobs in San Francisco, Palo Alto, Los Angeles, Santa Monica and more. For a complete list of more than 600 hedge funds and private equity companies in California, along with current hiring status, please see our California Hedge Fund / PE List. The above are just a few of the more than 100 hedge funds and private equity firms currently hiring in California. If you are looking for a hedge fund job in CA, our California Hedge / PE Fund List is truly an invaluable resource. In addition to hiring status for each of more than 600 funds, you get detailed information on each fund including address. phone/fax, corporate and HR emails, top executives, AUM, # of employees and more all in Excel format. And it’s the only list designed specifically for hedge fund and private equity job seekers! Looking for a hedge fund job in Chicago or elsewhere in Illinois? There are about 230 hedge funds and private equity firms in Illinois and 45 are actively hiring new employees. Below is a partial list including the first 10 of the more than 45 hedge funds with open jobs in Chicago, IL. For a complete list of hedge funds in Illinois that are hiring new employees, please see our IL Hedge Fund List. The above list of companies with open hedge fund jobs in Chicago consists of just the first 10 of more than 45 hedge funds that are currently hiring. For a complete an up-to-date list please see our IL Hedge Fund List. This list contains more than 230 hedge funds and private equity firms in Chicago and throughout Illinois. Each listing contains detailed information on each fund including contact info, top executives and HR personnel, company and HR emails, AUM, and of course hiring status. The IL Hedge Fund List is truly an indispensable resource for finding a hedge fund job in Chicago! Looking for a Hedge Fund Job in PA? Below is a partial list of hedge funds and private equity companies currently hiring in PA. There are currently 19 hedge funds and private equity firms with open jobs in Pennsylvania including in Philadelphia, Wayne, Berwyn, Radnor, and West Conshohocken. For a complete list of hedge funds in Pennsylvania, including which ones are currently hiring, please see our PA Hedge Fund List. This list contains detailed information on more than 135 hedge funds and private equity in PA and is the only list designed specifically for job-seekers! The above list is just the first 5 of 19 or more hedge funds with open jobs in Pennsylvania. For the full and most up-to-date version please see our Pennsylvania Hedge Fund List. Florida is home to more than 150 hedge funds and private equity companies, but finding a hedge fund or private equity job isn’t easy. Below is a list of the first 5 hedge funds and private equity companies from our FL Hedge Fund / PE List that are actively hiring. Currently there are at least 15 hedge funds or private equity firms hiring in Florida so be sure to download the list for the latest and most complete information. The above is just a partial list of hedge funds and private equity companies in Florida that are actively seeking new employees. For a complete list of hedge funds and PE in Florida, including Miami, Palm Beach. Ft. Lauderdale, Tampa and more, please download our FL Hedge Fund / PE List. This list contains more than 150 companies including 40 categories of information on each fund as well as current hiring status. This list contains everything you need to know about each fund to submit your resume and cover letter including address, fax, emails, top executives and lots of detailed company information. If you’re looking for a hedge fund job or private equity job in Florida our FL Hedge Fund / PE List is truly a crucial resource!